Helping your customers find auto insurance quickly, cheaply, and at all hours of the day. 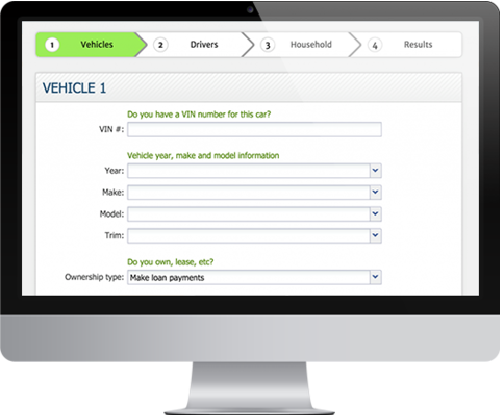 Is your company ready for an on-demand auto insurance solution? The customer takes 2 minutes to fill out Fetch’s very simple insurance form. Fetch takes the customer’s information and sends it to the websites of leading auto insurance carriers. Within seconds, the customer can compare up to four insurance quotes, all side-by-side on the Fetch website, and choose the best quote. Customer purchases the insurance policy with his or her debit card directly from the insurance carrier. When the transaction is complete, the customer can print out his or her insurance cards on the spot. Is your auto insurance expensive? Do you feel like you are paying more for auto insurance than you are for groceries? Tired of spending hours looking for the best insurance quote? Is your auto insurance almost as expensive as your car payment? Or maybe you are buying a new car or shopping for an auto loan? Or maybe you just took a look at your monthly budget and realized that your auto insurance expense is way too much. If any of these apply to you, Fetchaquote.com could be right for you. Fetchaquote.com (“Fetch”) is an online auto insurance marketplace where consumers can shop, compare rates, and purchase auto insurance all online — and it only takes minutes. Fetch is an electronic auto insurance comparison site that specializes in offering insurance carriers that like to offer policies for people with all types of income, credit, and driving histories. While other insurance websites may focus on people with perfect credit and perfect driving records, Fetch is for the rest of us! Originally, Fetch was available to automotive dealerships with customers who needed auto insurance or customers who needed to save money on car insurance. As Fetch grew and evolved, we saw that many different companies have customers who need to save on auto insurance. If you are an auto lender, insurance monitoring company, automotive dealership, automotive research site, vehicle service contract marketer, independent insurance agent or a website that sells vehicles directly to the public, you need Fetch as your own branded white-label insurance solution. If your customers can save money on auto insurance, they will have more money to spend on your site — and you can earn revenue from Fetch while doing it. Fetch takes the process of visiting four or more insurance carrier websites and condenses it down to a process that only takes a few minutes. Instead of filling out the same information over and over to compare quotes at different websites, a Fetch customer enters his or her information only once at fetchaquote.com. The information is then sent electronically to multiple insurance carrier websites to produce the same insurance quote that you would have received if you had spent an hour or more to get separate quotes from each insurance carrier’s website. Once the insurance carriers take a few seconds to generate the insurance quotes, up to four quotes from the various insurance carriers are shown side-by-side on Fetch’s website. You can compare the down payment, monthly payments, and "average" monthly cost and click "Continue" next to the quote that you want to purchase. The customer, and all of his or her information, is hyperlinked to the insurance carrier’s website to finalize the quote and purchase the policy directly from the insurance carrier. Is Fetch available 24 hours per days? Yes. The Fetch service is available 24 hours per day, 365 days per year. While other insurance services may only be available during business hours, Fetch is available when you are. Why should I shop my auto insurance? First, all insurance carriers will price you differently, and no insurance carrier is always the cheapest. Second, insurance carriers typically look at your driving record over the past 3 years. Tickets and accidents roll off of your record over time, so you should be shopping your insurance every 6-12 months as old items roll off your record. Third, insurance carriers will sometimes lower their rates if they want to grow their business in a particular state. Likewise, insurance carriers will increase their rates if they are worried about their losses. Fourth, if you have weaker credit or have had lapses in insurance, you definitely need to shop your insurance regularly. Many insurance carriers will not offer policies for people	with weak credit or lapses in insurance coverage, so your choices may seem slim. However, Fetch works with lots of insurance carriers who want your business, so it’s worth 2 minutes to find out. It’s pretty common for us to see customers save anywhere from $40-100 per month in auto insurance. What could you do with $100 per month? Once, we saw a guy in Chesapeake, VA save $372 per month in auto insurance. He was paying almost $500 per month in auto insurance and didn’t realize that a really bad driving incident he had was now more than 3 years old. When he used Fetch to shop for insurance, he found it for $125 per month. The amount he saved in insurance by using Fetch was enough to cover his car payment. It was almost like using Fetch paid for his vehicle! Does Fetch pull my credit? Will getting a quote from Fetch hurt my credit score? No. Fetch does not require you to give us your social security number, and Fetch does not pull your credit report in order to generate insurance quotes. 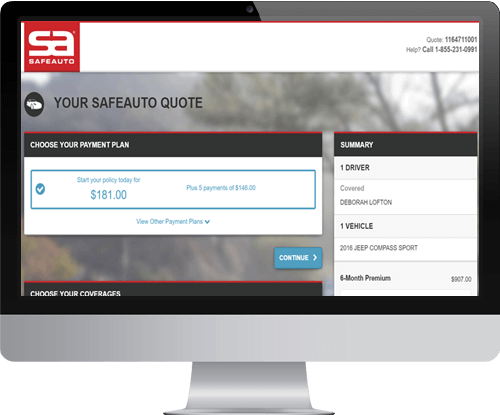 However, if you try to purchase a quote that you see on the Fetch website, you will most likely be asked by the insurance carrier to provide your driver’s license and SSN before they finalize the price. All insurance carriers are different, so make sure to review the insurance carrier’s terms and conditions once you are hyperlinked over to their site. Does Fetch collect my payment? No. Any payment you make will be made directly to the insurance carrier from whom you are buying the insurance policy. Fetch is a free service to consumers, so you will never owe Fetch any money. Yes. Fetch is a secure website and uses the most advanced software available to protect your information. Our Chief Technology Officer is a real nerd when it comes to data security. Further, Fetch does not require your SSN and does not collect your driver’s license or ID information. Basically, we only collect information like your vehicle details, name, address, date of birth, and your contact information. If I use Fetch, will I get a zillion phone calls from telemarketers? No! Fetch is not a service that will inundate you with phone calls. The insurance carriers that produce quotes for you may send you an email at some point in the future to see if you are still interested, but Fetch is not one of the services that you use and then get 17 phone calls in the next hour. We hate those types of businesses too and never want to become one of them. Do I really need to give Fetch my real phone number and address? It is important that you use your real email address and phone number. For starters, some insurance carriers will not quote a customer if they detect that the phone number or email address are fake. So using a fake email address may cost you money if you did not get a quote that would have saved you money. Also, all insurance carriers let you easily unsubscribe from any emails you do not want. If you feel that you are getting too many emails from an insurance carrier, you can just click "Unsubscribe" in the bottom of the email and they will take you off of their mailing list. I liked the quotes I saw, but they all increased before I could finalize the purchase. What happened? Insurance carriers generate the quotes based solely on the information you provided them. Once you link over to their site to finalize the purchase, the insurance carriers pull your driving records and often do a soft credit pull on you. Sometimes, based on this new information, they may adjust your premium up or down before finalizing the quote. If I buy a policy through the Fetch system, is it likely that the insurer will cancel my policy or increase the premiums soon after? Right before you buy the policy, the insurance carrier you have chosen will pull your driving records and often do a soft credit pull on your consumer reports. If the insurance carrier finds new information that changes your risk profile, the insurance carrier may increase or decrease the premiums before you purchase the policy. Because the insurance carriers do their underwriting BEFORE you finalize the quote, the chances that you have your policy canceled or have your premiums increased during the term of your initial policy is very slim. Who should offer Fetch to its customers? Any company that has customers who would like to save money on insurance should offer Fetch to its customers. Fetch began by offering its service to customers in car dealerships, but Fetch now has partners in other industries as well. 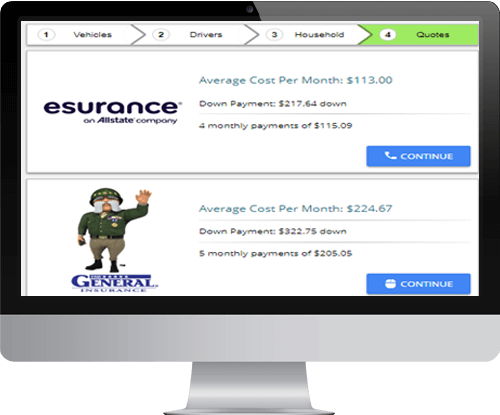 Auto finance websites, auto finance call centers, vehicle service contract marketers, and other partners all use Fetch because they see the value in helping their customers save money on car insurance. What internet browser is recommended for using the Fetch website? We have heard of problems with people using very old versions of Microsoft Explorer, so we highly recommend using Chrome or Firefox. If I buy an insurance policy through the Fetch system, how do I obtain proof of insurance? If you buy online or by phone from one of the insurance carriers offered on Fetch, the insurance will typically email you the insurance cards and will also show them on the screen for you to print. Many insurance carriers now have mobile apps that you can download and create an account, and things like your insurance cards are easily retrievable using their mobile apps. How long has Fetch been in business? Fetch began operations in January 2014. The company is based in Virginia Beach, VA and is still run by the people who founded the company. Fetch initially marketed itself to be used by customers in car dealerships, so many people have not heard of us. We try to keep costs low, so we do not run big marketing campaigns or issue press releases every time we sign a new customer or hire a new employee. Fetch is simply a free service that connects you to the insurance carrier that we hope is best for you. At the end of the day, you will be buying insurance from one of the nationally-known and financially stable insurance carriers we offer. Fetch is just a simple service that allows you to enter your information once in order to receive up to four insurance quotes in a matter of minutes.